Once again the rain will not let up. It has flooded quite a few spots in the garden. The tomatoes are taking it real hard. That’s about three inches of water there. 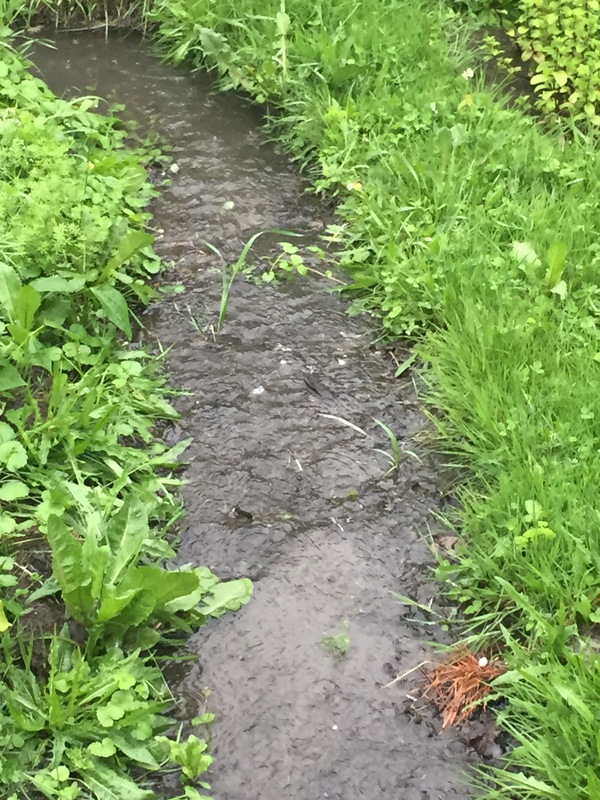 I’ve since carved a drainage ditch to release the water. 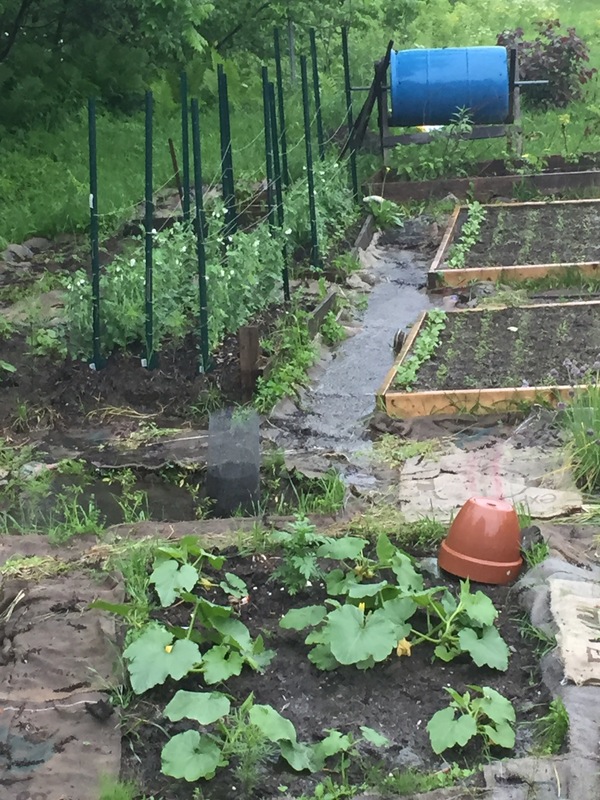 My poor swale making skills are not helping the situation, and have in fact created the river through the garden that is swamping the tomatoes. The swale is doing exactly what it is NOT supposed to be doing at this point. It has changed into a river. The rain has been so heavy that the ground simply cannot hold any more. There are pools everywhere. I moved the overflow from the rain barrel away from the swale ditch, this seems to have calmed it down a bit. I also purged about half of my stored rain water to buy things a bit of recovery time. 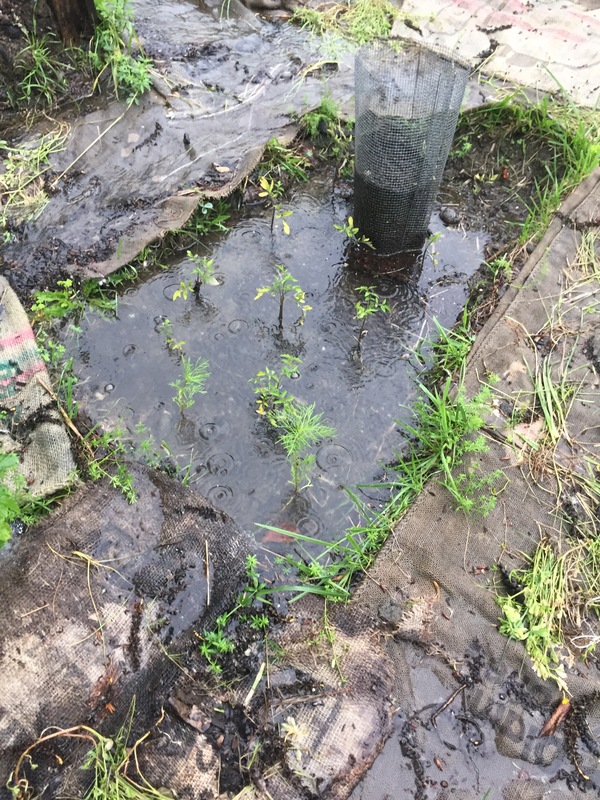 The drainage I dug for the tomato plants is working well they are no longer flooded. Not everything is rosy though. I’m starting to hear that things are flooding in town. It looks like we will get a reprieve for a little while. I guess it’s time to look at repairs and upgrades. Previous PostSaco time again! Expedition day six.